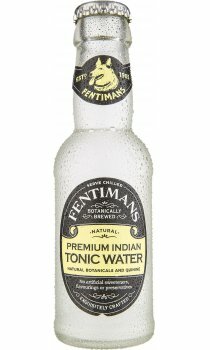 To brew the finest all natural tonic, the Fentimans family sought to enhance the deliberate smoothness of our fermented organic (grain) base, with the delicate subtlety of Lemon Grass from the Cochin area of India and the distinctive sharpness of purified cinchona bark (the source of quinine) of the same continent. We believe the result is indeed a tonic worthy of both the drinks origins & our heritage. ...deliberate, delicate and distinctive, yet sharp & subtle that smoothly blends with your spirit of choice.